Continued education, additional training, or “professional development”, is so important in pretty much any line of work today. Whether mandatory or optional, it helps us to keep up our skills, acquire new ones and adapt our skills to new technology, market conditions, or industry advancements. Historically, solicitors existed in America, though the term referred to a lawyer who argued cases in a court of equity, as opposed to an attorney who appeared only in courts of law. With the chancery or equity courts disappearing or being subsumed under courts of law, solicitors became obsolete by the late 19th century. In more modern American usage, the term solicitor is understood to refer to government lawyers. For example, the title « solicitor » is still used by town, city, and county lawyers in Delaware, Georgia, Massachusetts, Maryland, New Hampshire, New Jersey, Ohio, Pennsylvania, Rhode Island, South Carolina, and West Virginia. 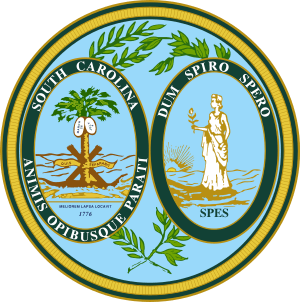 So in South Carolina, the solicitor is actually the person prosecuting a case… Good to know when interpreting in order to avoid a contre-sens! Should I file in Magistrate or Circuit Court? State law states that if the amount in controversy is $7,500 or less, then that action belongs in Magistrate Court. If the amount is more than $7,500, then that action must be filed in Circuit Court. How do I file a Summons and Complaint? If you would like to file a new legal action, then you must file a Summons and Complaint. A Summons and Complaint are legal documents that start a legal action. A Summons lets the individual know that he/she needs to answer the Complaint. A Complaint explains what happened or why the person is suing. Once you file the Summons and Complaint, you become the “Plaintiff” in the action. Actuellement, je ¹suis une formation afin d’obtenir un certificat professionnel de traduction par le programme ²à distance de l’Université de New York. // Currently, I am training to complete the professional translation certificate through the distance-learning program at New York University. (2) “distance learning” used to be “cours par correspondance”, but since it is no longer done by mail, but rather online, “à distance” has become the more appropriate term. En général, je suis plutôt une formation sur le tas quand je commence une nouvelle carrière. // Generally, I tend to take on-the-job training when I start a new career. Je serai absent(e) du bureau pendant 1 semaine parce-que je serai en formation. // I will be out of the office for 1 week because I will be in training. Plutôt que d’aller jusqu’au baccalauréat, les jeunes français qui ne souhaitent pas étudier à l’université optent pour une formation professionnelle. // Rather than studying through high-school graduation, young French students who do not wish to study at university opt for vocational training. So now you know why I failed to post a word of the day over the week-end… But rest assured, we will be back on track this week with some interesting topics. At least you know I do get out of the house sometimes… And for me, it was particularly fun to see an old friend again and meet interpreters as well as the people behind the State-certification program. 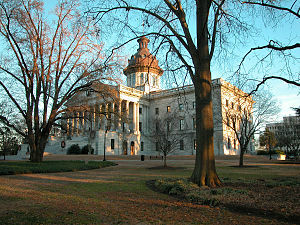 A big thanks to the SC Bar Association (not the pubs…) and have a great week!